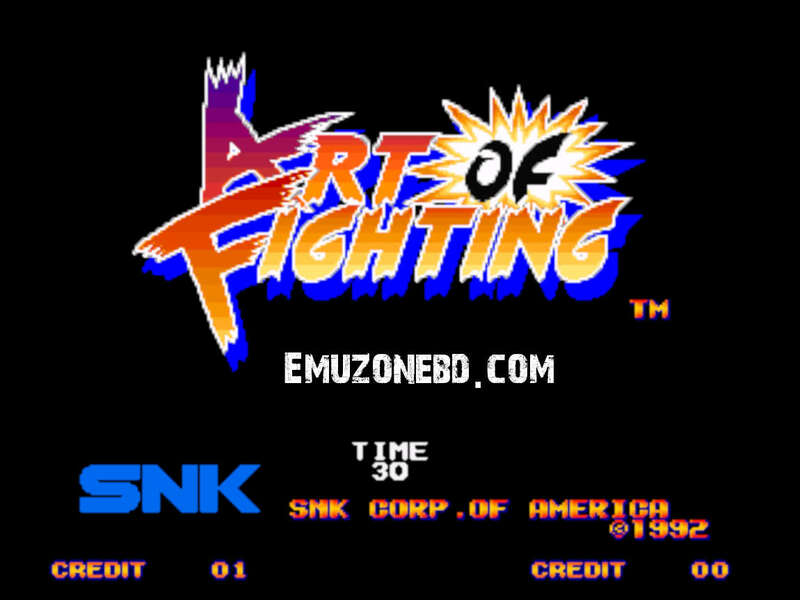 Download Art Of Fighting Neo Geo Rom Game For PC developed by SNK. Enjoy this action game with NeorageX Emulator in your Computer. This is an Action Game where you have to fight with your team and challenge the competitor and show them your gaming skill. In this game, you can play multiplayer with your friend or CPU and for good control, you may use a GamePad to use all the skill. When you go to the game and enter a coin, you will see the basic fighting method. Watch it carefully to learn an improved skill. In the first game, Ryo Sakazaki and Robert Garcia set out to find Ryo's sister, Yuri, who has been kidnapped by Mr. Big. Mr. Big has taken the girl to entice Takuma Sakazaki, Ryo's father and originator of the fictional form of karate known as Kyokugen Karate ("Extreme style"), and because Ryo refused to work for Big. After they defeat Mr. Big, Ryo and Robert face the enigmatic Mr. Karate. Art of Fighting ' s story ends with a cliff-hanger; Yuri is about to disclose the true identity of Mr. Karate as their father Takuma. 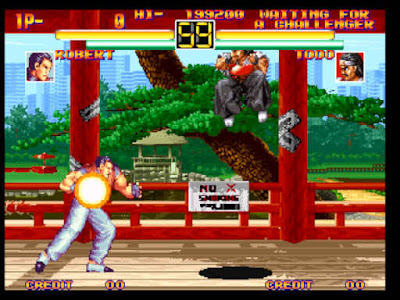 Ryo and Robert are the only playable characters in the single-player story mode, although eight of the game's ten characters are playable by default in the two players versus mode. If you like a single player game like this you can download Double Dragon. In this game you are able to use some special power when charged is full. Use them cautiously so that you don't miss and lose. This Special power could be damaged a lot HP of the opponent. 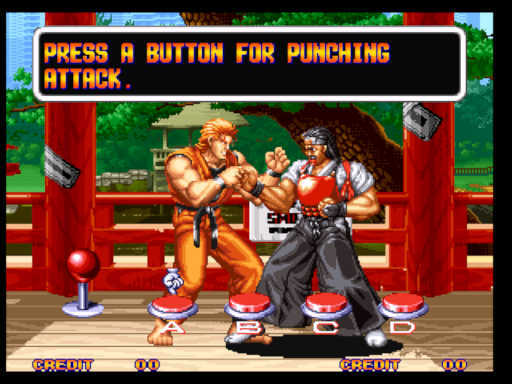 If you have played The King Of Fighting 97 then you will know all the rules of this game. Extract it and you will get some files and folder, don't do anything to them. Then Setup Control as your comfortable mode, otherwise you wouldn't be able to use all the movement. Now click on Import, then the game will be imported. Find the game by name. And now select the game and Click Launch that's all.